Sure Rome is an invaluable chest of mediterranean tradition and fabulous history, but you might have already spent the past holidays conquering the majestic Colosseum and the palaces, or ascending to the heavenly Palatine hill. Still, you might want more from the city than its most trodden beauties. In your next visit to this magnificent cradle of culture why not check out some monuments that will equally leave you amazed? We have listed an exclusive top 5 of those undiscovered attractions you won’t have to miss in 2012 - when most of them are going to reopen after major works. The Scipioni’s family needs no introduction even if you don’t usually sleep with a travel guide under your pillow. They were one of the highest ranking political families in the Republican age (III century b.C.) 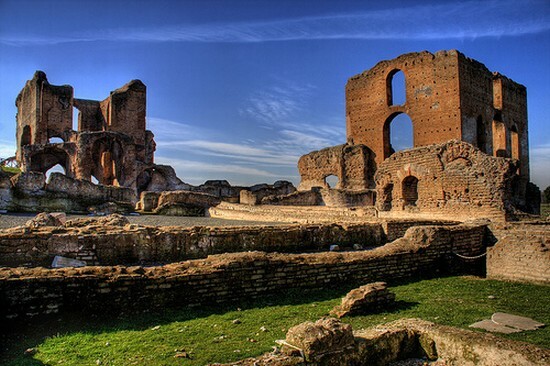 and this burial ground, a set of underground galleries close to Caracalla’s Baths and the Appian Way testifying the importance of the Scipioni, is also one of the very few findings of that age. 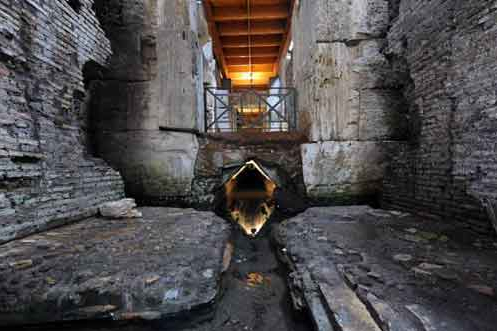 Rita Volpe remarks: “When it was first discovered centuries ago, visitors flooded the site. Now works on the venue are in the later process of completion and the visit to the monument will be enriched with a new route, accessible to disabled visitors as well.” Book at 0039 06 67103238 or 0039 06 67103887. The Vaults must be our favourite. The only areas accessible in the Colosseum were the “ground floor” and the first ring, but after recent renovation works visitors can go 20 mts deep into the monument’s throat, where tigers, lions, panthers and unfortunate prisoners were being kept, waiting to pleasure the audience with a bloody show out on the arena. “Even most of the civil servants of the local Superintendency haven’t gone down there yet”, Sergio Mineo states, “its opening is surely a grand event”. You are be able to go a bit nearer to the sky, as access to the amphiteatre’s third ring has been recently granted as well. Book at 0039 06 39967700 or visit the website. 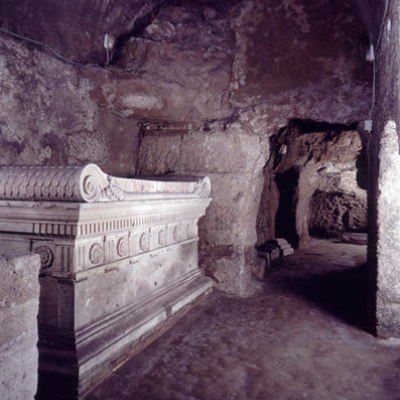 A hypogeum is a burial site set underground. This one, belonging to one of the most popular families in the Roman history, the Aurelii, hides many mysterious, fascinating paintings. “Human depictions are here representing themes such as the original sin and the creation of man: these paintings speak of the multireligious climate in Rome in a unique way.”, Sergio Mineo reveals. The building hosting the site rises 200 mts far from Porta Maggiore (“Larger Gate”) - what in the most recent years has been regarded as Rome’s second historical centre. Book at 0039 06 4465610. Porta Maggiore’s Underground Basilica: Very close to the hypogeum is subterranean building that has been retaining the story of a hidden pagan cult below Rome’s surface. This beauty was unknown to man until almost a century ago, in 1917, when the rich stuccos and reliefs of this buried gem emerged only metres away from a road. “Since then”, Ida Sciortino adds, “only selected experts could walk on those pavements. But general public will be able to taste part of it very soon.” Book at 0039 0639967700. Rita Paris, archaeologist at the Special Superintendency for the Archaeological Heritage of Rome and manager at the National Roman Museum in Palazzo Massimo.